Witness the fall of the super heroes! An aging Clint Barton has been on a mission to hunt down the Thunderbolts who betrayed him - now see exactly what happened on that fateful date 45 years ago, in all of its bloody detail! Then, Hawkeye and Hawkeye are together again! 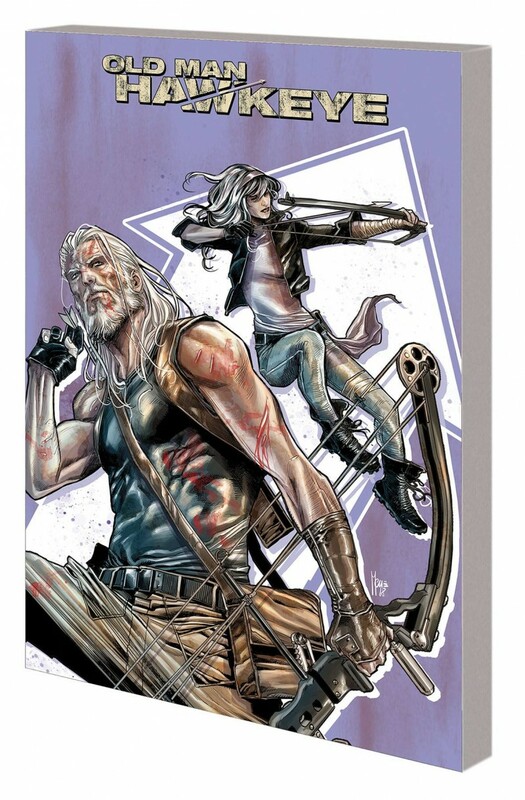 But as Clint and Kate Bishop make their way across the Wastelands, what will their confrontation with Songbird reveal? Meanwhile, the Red Skull’s secret weapon is unleashed - and it’s none other than the Winter Soldier! And then, it’s the moment you’ve been waiting for: Hawkeye vs. Bullseye! But with Clint’s sight deteriorating, what chance does he have against the marksman who never misses? Plus: Moonstone, Baron Zemo and the Weapon X facility! Can Clint reach the end of his quest before his eyes fail him for good?